PennguardTM – Corrosion protection and Thermal insulation, how? 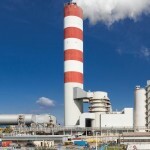 New 4 x 300 MW coal fired power station in Vietnam uses FGD chimneys with PennguardTM lined steel flues. The Vietnamese power generating industry is expanding rapidly to keep pace with the country’s growing economy and increasing prosperity. According to projections of state company Electricity of Vietnam (EVN), total electricity production will have to grow from about 106 TWh in 2010 to 227 TWh in 2015, with production doubling once again by 2025. To achieve such fast growth, EVN will invest 30 billion USD in the 2008-2015 period. One of the largest new power stations to be commissioned in the near future is the 4 x 300 MW Quang Ninh Power Station near Halong, on Vietnam’s Northeastern coastline. The station will be owned by Quang Ninh Thermal Power Joint Stock Company, a company owned by EVN and other investors. Both power stations have been designed identically by the Chinese Northwest Power Design Institute (NWEPDI) and to maintain power station SO₂ emissions within the allowed limits, all four coal fired units are equipped with flue gas desulphurization units based on wet limestone gypsum technology. Both Quang Ninh 1 and Quang Ninh 2 power station have a 200 m reinforced concrete chimney, each with two steel flues. The flue gas entering the chimneys, even though desulphurized and reheated, will be highly corrosive. Following a detailed investigation of different technologies, the owner and EPC contractor agreed that all four flues would be lined with the PennguardTM borosilicate glass block Block Lining System, using 38 mm thick PennguardTM Block 55. 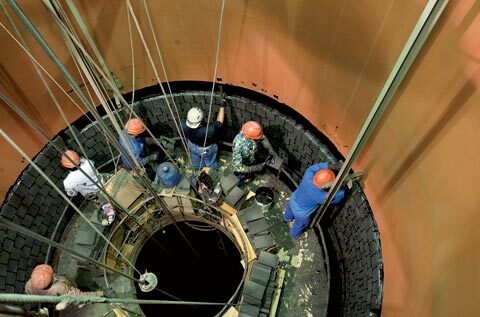 Modern power stations are engineered to run almost full-time, with a minimum of maintenance. Owners expect near 100% availability from every component of their plant, including the chimney lining. 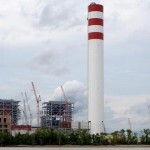 The steel flues of the two Quang Ninh Power Station chimneys have been lined with 331,200 pieces of PennguardTM Block. To meet the owner’s expectations, the production, engineering and installation of the PennguardTM lining system followed a rigorous step-by-step quality control process. 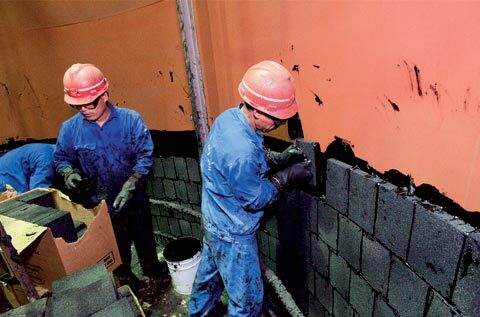 The manufacturing of PennguardTM Block is performed under systematic quality control. Only high quality, newly produced borosilicate glass is used as a raw material. 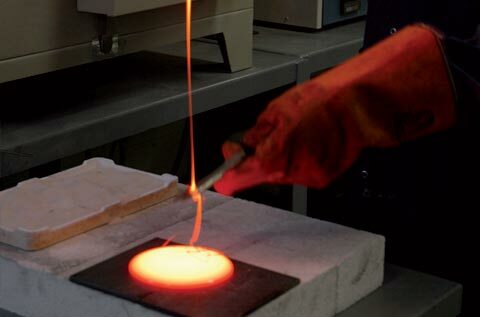 Production itself takes place within very stringent, closely controlled parameters and every batch is tested on a number of key points including mechanical strength, thermal properties and closed cell structure. The other components of a PennguardTM lining, such as PennguardTM Adhesive Membrane, are manufactured with similar quality control systems. 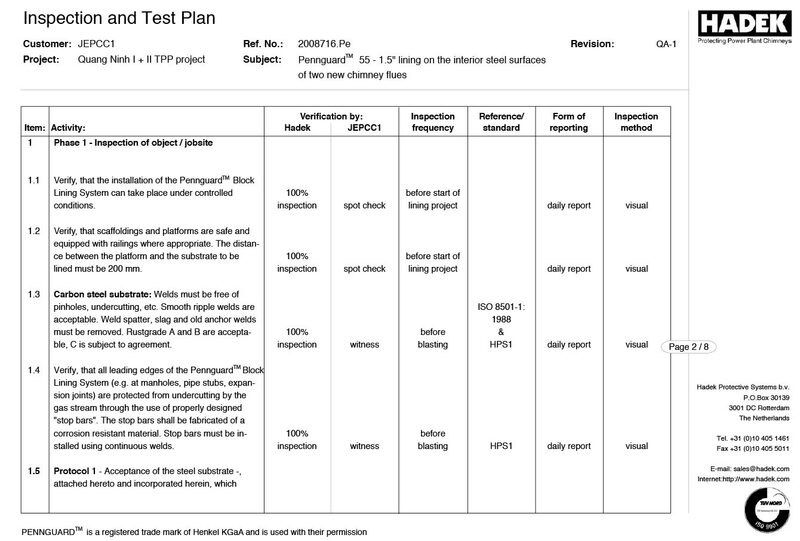 When planning a PennguardTM application for a customer, Hadek looks closely at key technical aspects of the proposed project. For the Quang Ninh chimneys, Hadek prepared thermal calculations to predict the steel flue temperature under various operating conditions. Hadek also supports its customers with proven design details for pipe stubs, drains, manholes and expansion joints. Hadek QA Inspectors visited the Quang Ninh project site several months before the start of the lining installation work. Together with Shanghai Electric Corporation and its civil contractor the QA Inspectors planned the equipment, work platform, number of installers and the schedule for the PennguardTM installation. Hadek has a group of 14 experienced QA Inspectors who travel the world to provide technical support and QA Inspections to customers installing PennguardTM borosilicate glass block linings in their chimneys. Before the start of the lining work, the owner, the chimney builder and Hadek agree on a specific, detailed Inspection and Test Plan (ITP). During the PennguardTM lining installation in the Quang Ninh chimney flues, Hadek QA Inspectors were present full time to make sure that all work was performed correctly. 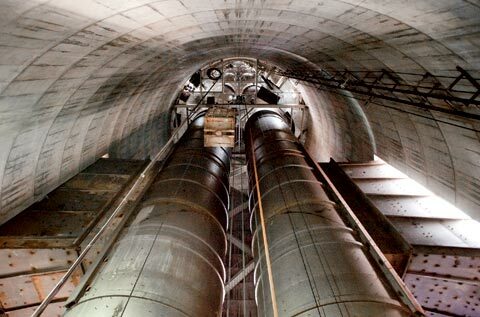 Once a power plant chimney has been lined with PennguardTM Block and placed in service, Hadek remains active to ensure that the PennguardTM lining delivers full protection and performs as expected. 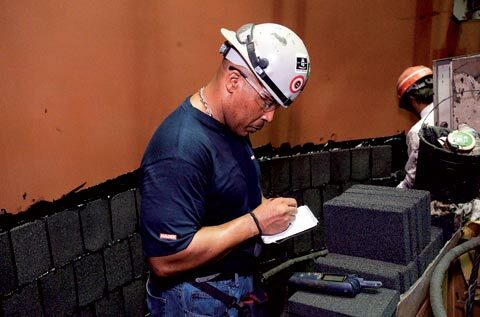 Whenever an owner wishes to inspect his PennguardTM lined chimney, Hadek will send one of its QA Inspectors to participate in the inspection. In case of any problems, these can be identified immediately, allowing a fast and effective solution. In the initial design for the Quang Ninh chimneys, the customer planned to use external insulation for the steel flues. After a thorough technical evaluation it became clear that the thermal insulating property of a PennguardTM lining met all the project requirements. The designers then decided to avoid the use of any external insulation. 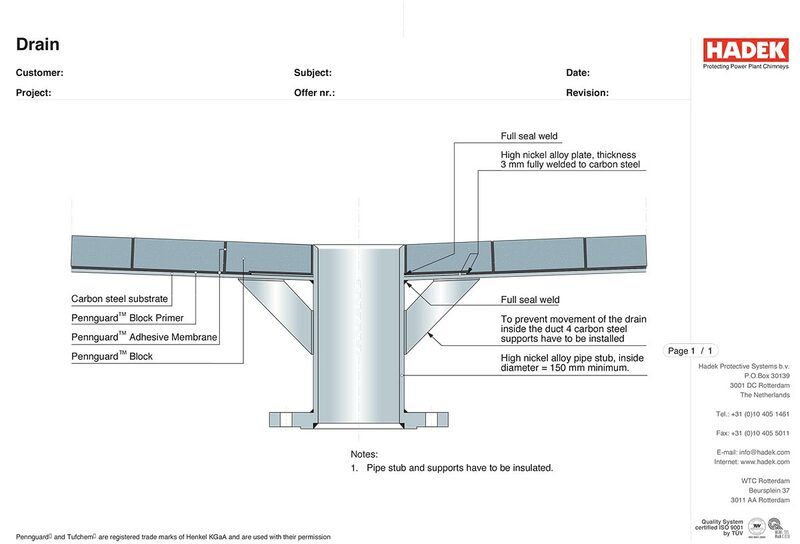 1 – The steel flue external surfaces will remain cool, even when the flue gas temperature is high. 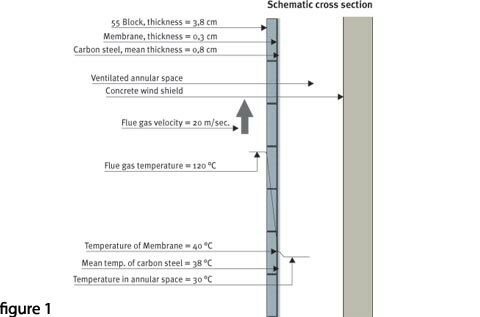 Figure 1 shows that when the flue gas temperature in the Quang Ninh flues is 120 °C, the steel flue external surface temperature will be around 38 °C. 2 – The temperature losses in the chimney will be very limited. 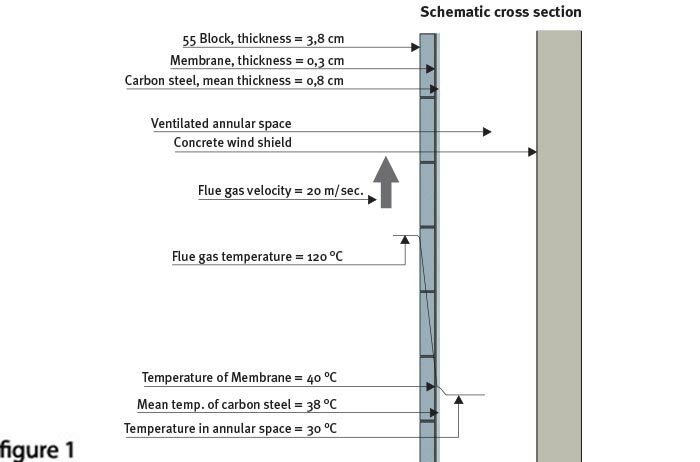 Once again assuming a 120 °C flue gas entry temperature, the predicted flue gas exit temperature at the top of the chimney is 118,9 °C. 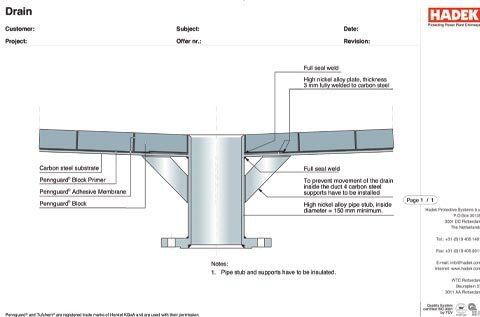 3 – The thermal expansion of the steel flue will be limited. 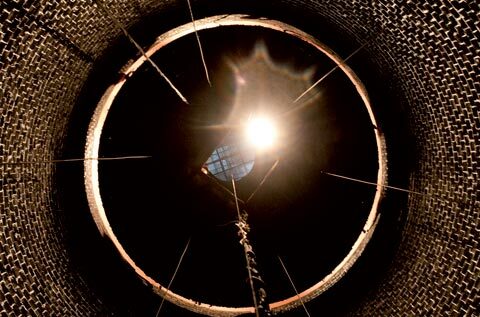 When going from non-operation at a 20 °C ambient temperature to operation with 120 °C flue gas, the 188 metres long steel flues of the Quang Ninh chimneys will experience a temperature rise from 20 °C to 38 °C, resulting in an expansion of only 41 mm. It is important to note that for most applications, it is recommended to avoid external insulation of PennguardTM borosilicate glass block lined chimneys. This prevents overheating of the PennguardTM Adhesive Membrane between the PennguardTM Blocks and the substrate.